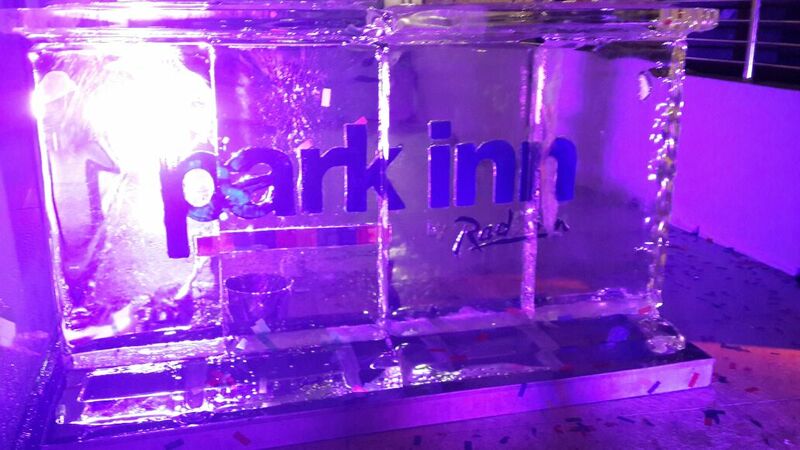 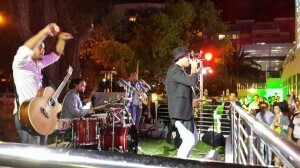 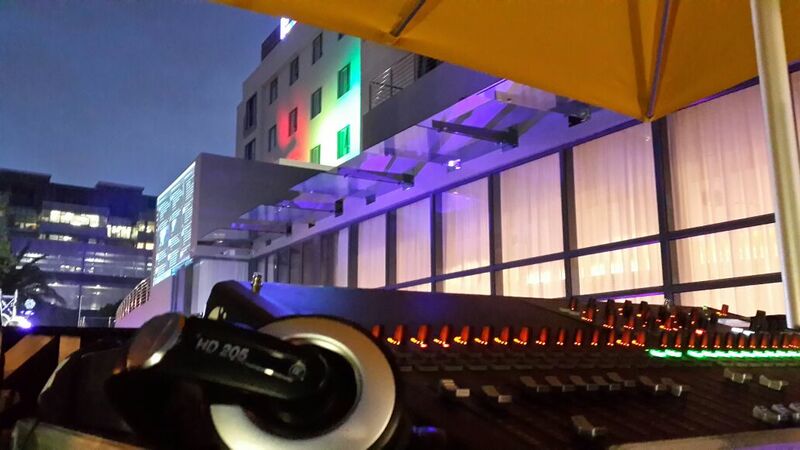 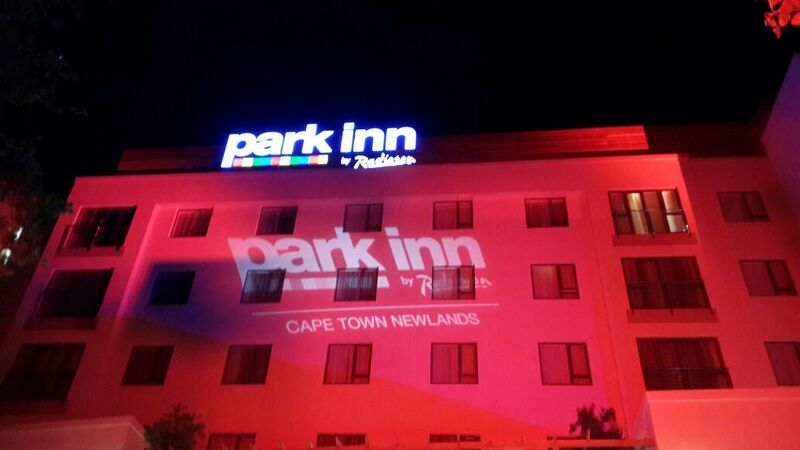 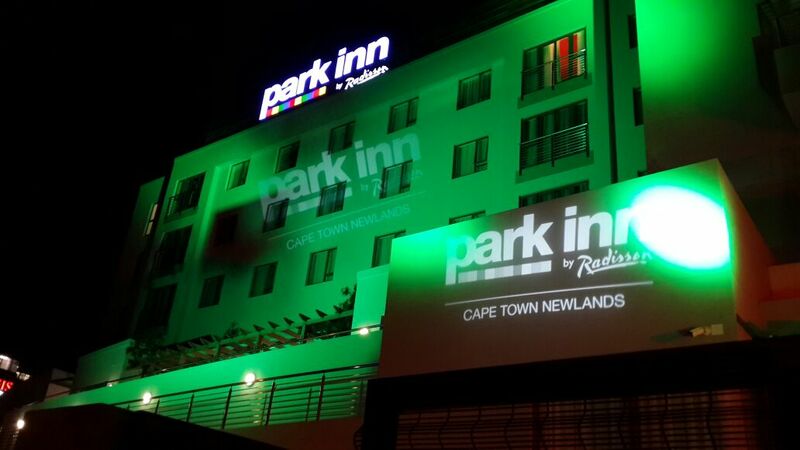 The launch of the Park Inn Hotel by Radisson at Newlands was an exciting endevour. 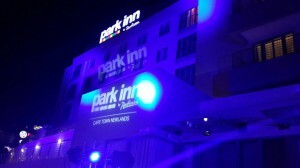 Our brief was to give the client something magical and inspiring for the crowds that gathered outside! We did just that, by combining GOBO lighting with powerful colour wash lighting, we were able to exquisitely light up the stunning hotel in all its glory! The night also featured the very talented Jimmy Nevis, heartboxing his way into the all the fans memories, this was certainly a night to be remembered! We’d like to thank the amazing crew at Distinctive Choice for allowing us to provide technical support for this prestigious event! 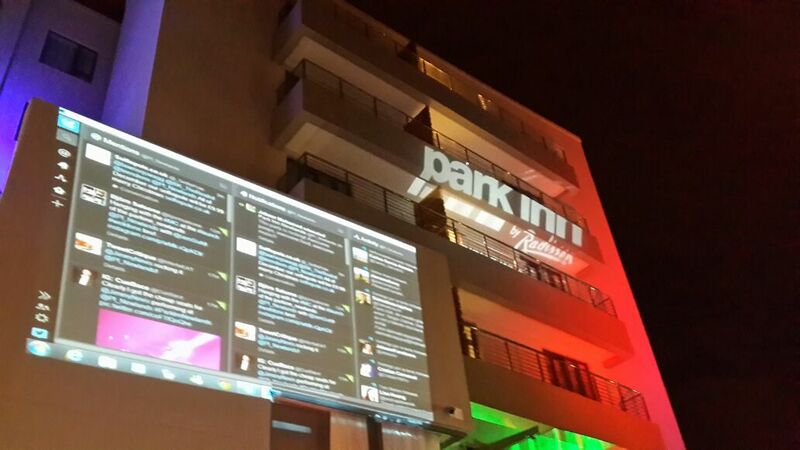 We projected a large twitter feed up onto the Hotel, so the crowds could all have their messages seen during the show!